I am still in awe of how many different seashells we found on our vacation to North Caicos and Middle Caicos of the Turks and Caicos Islands. I’m also in awe (okay, let me tell the truth…. “overwhelmed” would be the right word) because I took over 1100 photographs. Yikes! So this is what I’m going to do since I can’t smoosh all of these amazing shells, photos and info in just this one post. I’m going to show you our best finds now and then in my next post I’ll show you where we found them and a few maps just in case you ever want to go there on one of your shelling vacations too. After that, I’ll show you where we stayed on North Caicos and a few restaurants and other things we loved about the islands. But for now, lets get on with the seashell show! I showed you Clark’s KING HELMET, my ANGULAR TRITON and some QUEEN CONCHS on my last post but these PARTRIDGE TUNS for sure made it on our “besties” list. They look like really fragile scotch bonnets without the thick lip. Here’s a close up the bottom of our LONG-SPINED STAR SHELL I showed on my vacation “teaser” (heehee) post. I say “our” shell because Clark and I were snorkeling side by side when we both spotted this beauty as the same time. Gorgeous, right? Believe it or not, this is my first BLEEDING TOOTH NERITE. I saw oodles of NERITES, but since I was trying to be very selective in what we brought home, I chose this one I’ve never found before to bring home and it’s one of my faves! And of course the SUNRISE TELLINS. Oh my. They really look like they have been colorfully painted then sprayed with a high gloss coating. It was astonishing to find a perfect double SUNRISE TELLIN laying in the shallow water half covered by sand. A true gift of the sea. Oops! I forgot to put my MILK CONCH in my bestie photo but this has to be part of my favorites list too! I found this MILK CONCH and a juvie QUEEN CONCH the first night we arrived… which was my birthday night. YAY! We didn’t want to waste a minute so we walked the beach as soon as we arrived and these washed up at my feet. YAY Again! I love the minis!!!! Just like here in Sanibel, if we are visiting a beach and we aren’t finding the larger shells in the wrack line, at the shoreline or in the water, we start looking for miniature shells. We found them! They are just so stinkin sweet, arent they? But wait! There’s more! I want to share Jane and John’s besties too! You saw John Johnny Rescue’s QUEEN CONCH and Jane’s ANGULAR TRITON yesterday and they found the SUNRISE TELLINS and PARTRIDGE TUNS as well…. But… John found this very cool CONE! It really doesn’t match exactly with that thin lip, high spire and a few other details and I havent had time to research further, but our best guess is that it’s a CROWN CONE. UPDATE! Deenie just commented to tell us that this is not a CONE at all! It’s a juvenile HAWKWING CONCH! How cool is that. Now that I know what it is, I can completely recognize the shape and now I know why the lip is so thin unlike a CONE and the spire is so tall. Thank you so much Deenie! Well how about that… John found an adult HAWKWING CONCH as well so you can see what that juvie will look like when it grows up. And look at the color and lines of this RETICULATED COWRIE-HELMET! It is a spectacular shell! Good find John! I’m still stunned and amazed at this next shell…. well I should really say “BEACH BLING”. It’s the OPERULUM to the COLORFUL MOON SHELL! It’s a SHIVA SHELL. So how cool are these shells from The Caicos, huh? Let me show you the whole kit and caboodle of shells Clark and I brought back. Keep in mind, after rinsing and inspecting the shells we collected each day, we didn’t bring home the majority of our shells to Sanibel. We inspected for cracks, critters, crud or replaced them for better specimens. We want to respect the islands, sand and beaches so we have to be conservative with the shells we take. We only kept the ones we knew we would either display in our home or research for the blog. Look how beautiful they are! I could just sit and stare at all of these treasures for hours at a time! I’ll try to give you as much information as possible about our stay in a short time so I’m already working on a map to show you where most of our shells were found on our exshellent adventure! Love the bleeding tooth – I’ve never seen one in person. Very cool find. Thank you, Pam, for sharing your treasures with us! Those shells are AMAZING!! Can not wait to hear all the details. 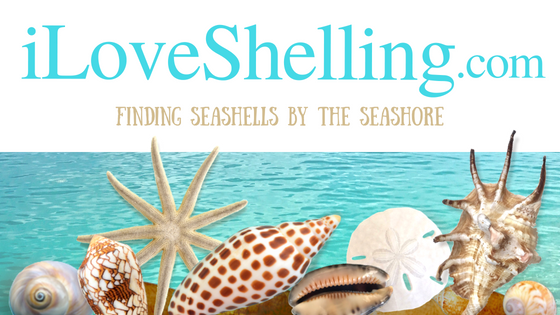 I see another shelling adventure on my bucket list! Beautiful, Beautiful!! Did you have any problems bringing shells back? We are going to Caymans in a couple months, I always worry we are gonna get stopped. I have found tons of sea glass there! never been to Turks & Caicos, on the list though! Love your posts! We are 2 a year visitors to Sanibel, it’s definitely a home away from home! You all had a bunch of excellent finds and a great way to celebrate your birthday! You weren’t too far away from us and I see some similar finds that we see down here :) Tell Clark not to wear the helmet to the Super Bowl party. Thanks for sharing! A-M-A-ZING! I would love it if you could maybe show us some of your shells next to a quarter or something so we can get an idea of the sizes. Can’t wait to see your coming posts about the rest of your trip! Wow, that is amazing. What absolutely beautiful shells! I know you were in heaven finding all those beauties. Such fun! Can’t wait to see more. wow! such an adventure! and the shelling – spectashellure!! looking forward to hearing more about your fun trip! The Sunrise Tellin shells look like some of the Coguinas that I have. What a beautiful collection you have! WOW, Beautiful!! I think you should organize tours for hire! I’d surely go with you!! Hope you had a great Birthday!! John’s “cone” is actually an immature Hawkwing Conch! :) If you put him next to the mature one you found you’ll see…. Awesme finds! What a fabulous birthday celebration! Thanks for sharing the adventure and the great shell pictures. We are sitting here after romping with the dogs in 6 inches of new snow and oohing and aahing over each shot! Oh my gosh! This is astounding!!! Haiz… Too bad it’s half a world away and going there would probably dry my baked account! Lovely seashells, especially the queen conch! Thanks so much for sharing! OMG! No wonder I couldn’t figure it out! Ha. Thank you so much for solving the mystery! Still amazed by the pics…Are those tegula species in the in the pic just under your angular triton? They look huge for that species! Thanks for sharing! Hi Lisa, take a look at the previous post to get an idea of the sizes of the shells since I’m holding my triton and Clark’s holding his helmet… Oh and Jane is holding her triton too. That will give you an idea as you can see them ours in the last 2 photos. I think you are referring to the west indian top shells? It’s always nice to see shells from different areas. They are all beautiful. Will definitely have to go there someday for vacation. Thanks for sharing! Pam…You have found some amazing shells! They are just beautiful! Now I have another place to add to my bucket list! Have you added shelling trips in July yet? Hope you do…would love to go with you! Hurry with the info as we are just deciding what to do on our holidays. I have never seen such beautiful shells!!! I love your blog. I am so glad I found it. I think I may have finally found someone who loves shelling as much as I do! Wow..where do I even start with comments! Just mind blowing amazing!! Some of the shells I have never seen before. The crown cone..just beautiful. The bleeding tooth is awesome, just love the coloring! The shiva…makes me think of the fossilized shiva’s I was findind at the shellabaloo doing the shell & tell and being eat’in alive by no see ums!! You know Pam, thats a good question…why dont we get shiva’s at Sanibel? I cant wait to see and hear more! You know how we like adventures and exploring…you guys definitely have had a really great adventure!! Tell Clark he did good….now how is he gonna beat this one for next years birthday?! Lol…..
Wow, Pam, these are just outstanding!!! So many gorgeous shells — and so many types that are new to me! I’ve now added the Turks and Caicos to my travel bucket list. Thanks for sharing! Absolutely gorgeous, each and every one. Thanks for sharing. I want to go to Turks and Caicos. Love all those white ones, especially the long spined star shell. Oh my! Oh my! Oh my!!!! Pam if you want to post about this trip every single day for the next six months I seriously doubt that any one of us would tire of it! I definitely know I wouldn’t. So bring on those 1100 photos and the stories to go with it!! We want it ALL! Amazing and thank you so much for sharing. I think a trip will definitely be in my future. Anxiously awaiting all your info!!! You could be an ambassador for those Islands as well. You have me ready to go! I wish you could see the reactions of everyone when they see your photos because my jaw just dropped at every one of your beautiful finds! You and Clark are just too much fun! We are waiting for another winter blast of new snow so this post was really exciting…you have no idea what this blog does to sooth the soul till our next Sanibel trip. Based on these gorgeous finds, we may have to consider a trip to Turks and Caicos since we’ll be so informed once you pass on all your info. Thanks for sharing! Each morning I go to your site first thing. I have always enjoyed shelling and have been going to Sanibel since 1967. We own at Casa Ybel. Thanks for sharing all your finds. One of your most amazing posts yet….everything is so beautiful. Looking forward to your upcoming posts because I may just have to give up my yearly trip to Sanibel to go to Turks and Caicos. Seriously, I want to go right now!!!! Glad you and Clark had such an amazing time and that you got to celebrate your big 5-0 in paradise. Thanks for sharing your beautiful finds with us!! I love the sunrise tellins the most. We find them on the SE coast, but not very often & usually broken, because they’re so delicate. Since 1967? Wow, I can only imagine your shell collection! We’re in the process of planning our yearly vacation now, and I was thinking the same thing! So awesome! Best birthday ever?! I can’t wait to read the whole trip report. In the early 70’s I used to find lots of bleeding tooths on the Sanibel causeway ,but they seemed to have disappeared after those years. A lot of people are confused by the juvie Hawkwing conch, thinking it’s a cone. All of the juvie conchs are so very different from the adult ones. Did you find any really tiny juvie queen conchs? They are very high-spired and are cream mottled with dark brown splotches. I am sure that’s what Steve meant. The West Indian top shell can get really enormous, over 5 inches! The meat is a popular food item in the West Indies. Ohhhh I have shell envy. We will be in Sanibel for our 3rd trip in 3 years (can not get enough of it.) in April. I hope I see you on the beach. I think I have become shell obsessed….LOL. Quilting has taken a second seat to my shelling in the last couple of years.. I love the Turks & Caicos the most gorgeous beaches I have ever been on. I look forward to your priceless information on where you shelled, stayed, ate etc. I too will be saving to go back again. Perhaps you could plan a shell trip for your fans. I would certainly be on your list. Wishing you a wonderful year ahead you spring chicken you. Just curious do you ever sweat going through customs with shells and the likes or do you have any tips. I remember on a cruise to the Bahamas they would not let us bring shells that were bing sold on the docks back onto the ship. Would be so disappointing to have your treasures taken at the lalst minute! what a fabulous way to spend your birthday!!! i guess i need to add a trip to turks and caicos to my wish list!! Fantastic Pam! You guys did great with the snorkeling! I have found lots and lots of star shells on Nevis but never a large one with the spines all intact like that! They look quite different with all the spines worn off. As for the operculum of the gaudy natica, for some reason these opercs don’t end up in the drift very often, even where the species is fairly common. I don’t really know why that would be. The operculum does not seem fragile, although maybe it is brittle if it gets hit the wrong way? Or maybe they are so thin that they tend to get wedged in somewhere underwater and don’t make it up onto the beach? Or maybe they are so flat that the waves can’t pick them up easily? Happy belated birthday and thank you for sharing the pictures of your beautiful shells. Believe it or not, I have one Partridge tun that I found in Jamaica several year ago and never knew what it was until I read your post. I do have a question about one of the little minis you found. It’s in the picture of several small shells in a larger shell. It’s the white one, toward the top and to the left of the small urchin shell. Do you know what that is? I found one in Nassau a couple of years ago and never could figure out what it was. And the Sunrise Tellins, oh, I’d love to find some like that one of these days. I have a couple, but very small, paper thin and not as colorful. I’m looking forward to more posts on your trip. Will probably never get there, but I really enjoy the pictures and stories. Spectacular finds! I have only been to North Caicos for a day trip – looks like I will have to go back and do some shelling around there! I have never found a hawkwing conch or cowrie helmet. Thanks for helping out with names – I didn’t know what my angular tritons were. I will also have to check if I have any bleeding tooth nerites – your shell pictures are awesome! After many years of going there, I still take over 1,000 pictues each time. Did you make it to Dellis Cay? – excursions used to go there many years ago before they started building (now just empty concrete walls since the project went bust). We usually rent a skiff and head there – always great shells to be found there. These shells are gorgeous, you must have felt like you were in heaven! I bet you worked (shelled) night and day! The sunrise tellins are to die for. Look at that shine!! It’s so nice of you to share your experience with us. Can’t wait to see your shelling map and I second the request to see all 1100 photos over the next year. :) Please keep us posted on what’s happening on Sanibel too. It would be nice to hear what mini’s are being found at the lighthouse. I wish there was a webcam at that end of the island! It’s such a special beach! I forgot to mention…..your photos are beautiful. Love the close-ups as well as the striking arrangements of shells. It sure seems like you had a great time and found some awesome shells as well. I am always looking for new shelling locations. I am very interested in your take on accommodations and restaurants and look forward to your next post as always. P.S. I always try and check ahead for your new post in advance of the email. Susan, Last Feb on Sanibel, I found about five or six of what I thought were shaped like an operculum, but were translucent amber brown colored. Unfortunately I dont have any to show you. Do you think these could be more unique than I thought? Absolutely fabulous, thank you both for sharing!!! So many wonderful shells I cant pick a favorite….. Were they the same shape in outline as this operculum of the Gaudy Natica; I mean sort of shaped like a D, but translucent amber brown and gently dished overall, not totally flat? If so, then I would say they were the opercula of the moon snail(s) people call Shark’s Eyes. I find that that kind of operculum (“corneous”, i.e. made of protein not calcium carbonate) washes up fairly often up here in the north, for example on Sandy Hook NJ or even on Long Beach NY, and up here those opercula are from the Northern Moonsnail, which gets large, with a shell up to 4.5 inches. Pam was telling me this December that she has not yet found any of those Shark’s Eye opercula on Sanibel, so you did well to find them. The limy operculum from the Gaudy Natica however is very uncommon on the beach, at least in my experience, even on Nevis where that colorful moonsnail is more common than it is on Sanibel. Such beautiful photos and shells, so glad you had such a great time!! Now I’m adding Turks and Caicos to my shelling trip bucket list of destinations!! Nice find, Pat! I hope to be out on the beach tomorrow morning… I miss my Sanibel! Drooling, you had me at star shell. Don’t you just love Oceans Reach? I’ve stayed there the last couple of years. This past trip we stayed at a different resort which had a lovely condo but the grounds weren’t quite as pretty as OR. I missed all the flowering bushes and the shell cleaning station! Must say I am super envious of the time you get to spend there. I only get a week at a time. Did you find your wentletraps on the beach at OR? Hi Pam, I love your blog and Youtube Channel! I am italian and, though Italy is a wonderful country, we don’t have shells like yours in Florida (a lot of coquinhas-a-like though!). Chiara, there is no problem taking empty shells on the plane out of Florida through U.S. customs but you’ll have to check on Italian customs bringing them back in to your country. I hope you can make it to Sanibel one day! Sorry I missed you Pam. I stayed at OR and Gulf side. I went to Blind Pass today and found a comb bittersweet, a slightly broken bittersweet, a slightly broken flat scallop and a whole alternate tellin. I’m going to try to get to Blind Pass on Sunday. Yes I found all the shells at OR or at Gulf side. I’ve even found some more babys ear and wt yesterday. I finally retired last September, so I’m not restricted to one or two weeks. We had stayed at OR last year and liked it. Wow Pam, I didnt think youd find so many shells as I had heard there were cool rocks and pebbles there. It looks like you had a fabulous time! Great way to spend your Birthday. Great pictures! Pam, Did Cardinal Arthur have all the fishing equipment needed for your excursion? Also, did he provide the fishing licenses? Is there anything else you can recommend for us to take on our day with him? We leave in 2 weeks. Thanks! Hi Pam! Have you ever find a really perfect gaudi asiphis?